We call it the off-season, but don't let that fool you. There is nothing slow or off about it! It's that time of year when riding bikes with girls across the country fade to mere echos in our daydreams. We fill this void with preparation for the next summer's jam-packed schedule of sessions and programs. In particular, we open up our annual jersey design contest soliciting custom jersey designs from participants. All of these designs are truly special and the burden falls on us each year to on pick one design. This year our winner was Avery from New Hampshire who participated in our Vermont camps. We asked a few questions to this young superstar. It means a lot because it is really fun and I like to hang out with other girls who bike, and the mentors are awesome! Being a Little Bella has made me more confident on my bike. 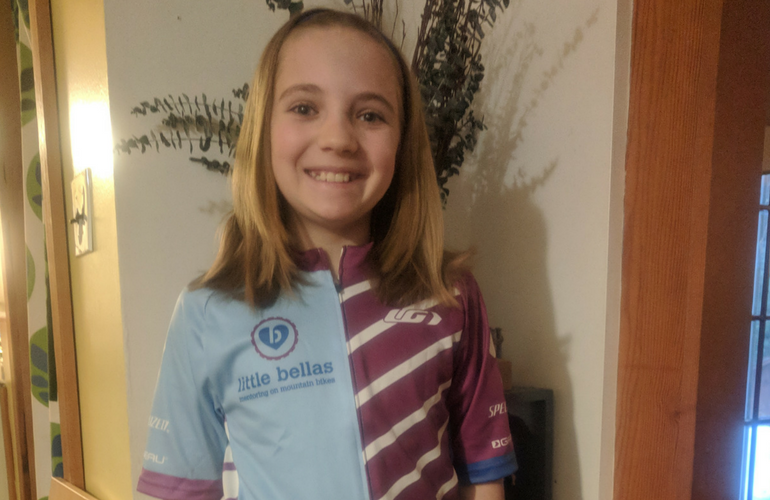 You can do anything you put your mind to and you should come to Little Bella's, it is really fun! 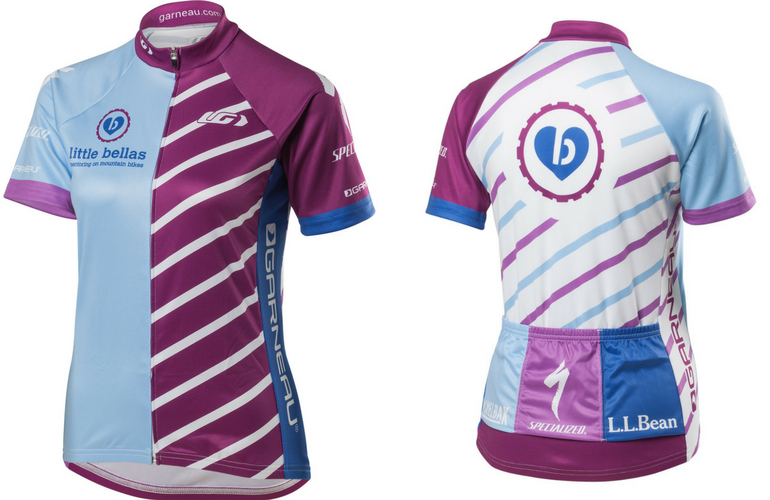 Garneau is our new custom jersey supplier who did an amazing job at knocking out this one-of-a-kind design!